What Is the Best HostGator Coupon Code to Use? When it comes time to purchase web hosting and you have chosen to go with HostGator, you may ask yourself this question: What is the best Hostgator coupon to use? In other words, which coupon is going to save you the most amount of money? Unfortunately, there isn’t a set coupon that is going to be the right choice ALL of the time. Instead, you need to look at what you are purchasing and for how long to determine which coupon will save you the most money. The $10 off coupon is the best Hostgator coupon when you want to try Hostgator out and see how their service is. This coupon will essentially allow you to get the first month of hosting for free (or one penny). We have used Hostgator hosting for years and can truly recommend them; we know how good they are! But for those who are new to Hostgator or to the hosting space in general, committing to a year of hosting at one time may be more of a commitment than one wants to make. In this case, the penny Hostgator coupon is the best coupon for you. The only downside to this coupon is that after that initial coupon, you will have to start paying the normal price every month after. The next choice for the best Hostgator coupon is found below and will allow for more long-term savings as compared to the Hostgator penny coupon. The 25% off coupon is the best coupon to use when you are sure that you are going to do business with HostGator over the long-term. If you are buying six months to a year of hosting, then saving 25% is going to save you much more than $10. If you went with the 25% coupon on the one month payment, you would only save $2.50! Do you get where I am going with this? Going with six months or one year of service (single payment): Go with 25% coupon! 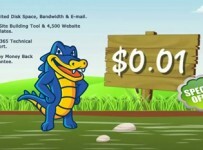 Going with single month to try Hostgator before committing long-term: Go with $10 coupon! 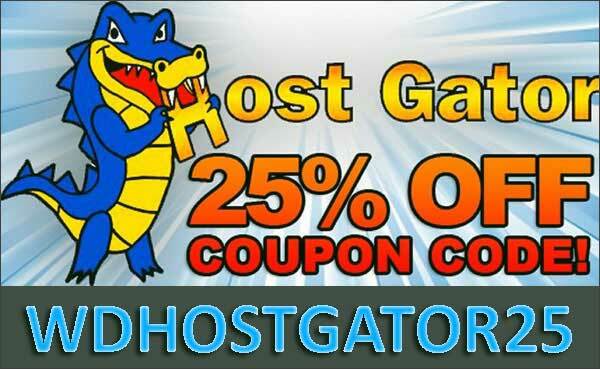 Use coupon code: WDHOSTGATOR25 and get 25% discount on HostGator Hosting. Finding the very best Hostgator coupon is easy if you know what you are doing. 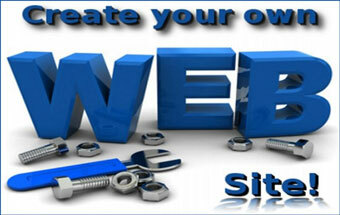 We hope that we have helped you to know which is the best Hostgator coupon. We also hope that you find the site helpful. Be sure to look around and check out the resources we have. Don’t hesitate to check out other hosting companies as well; we have many reviews on the site and can help you find the very best hosting company for your particular needs!